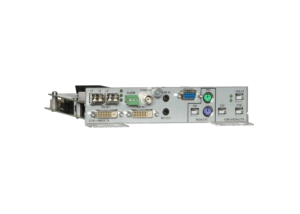 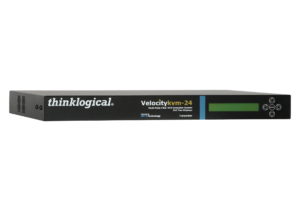 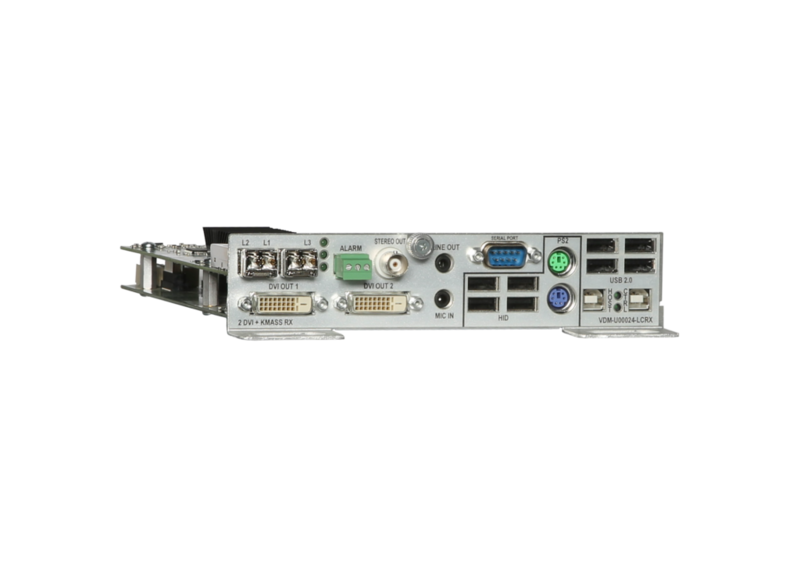 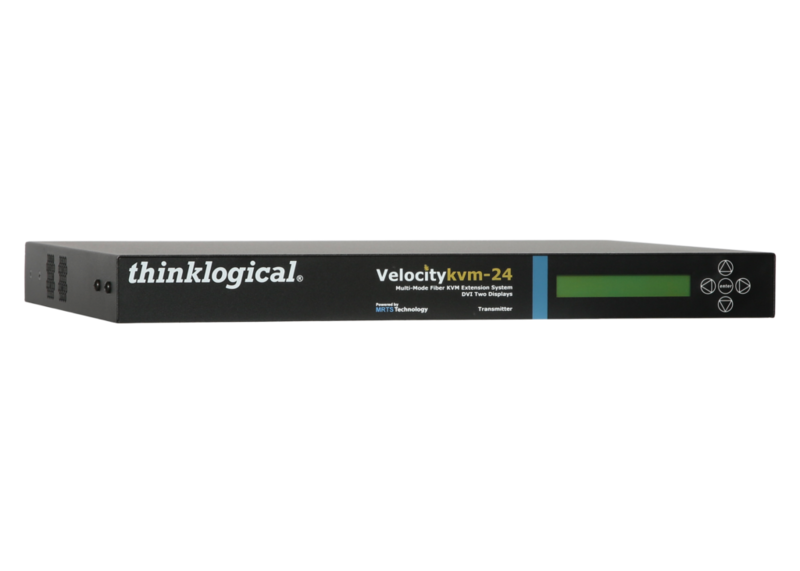 The VelocityKVM 24 extension systems are designed to support two single-link DVI displays, USB HID, full duplex stereo audio and serial (RS-232), PS/2 and stereo emitter. 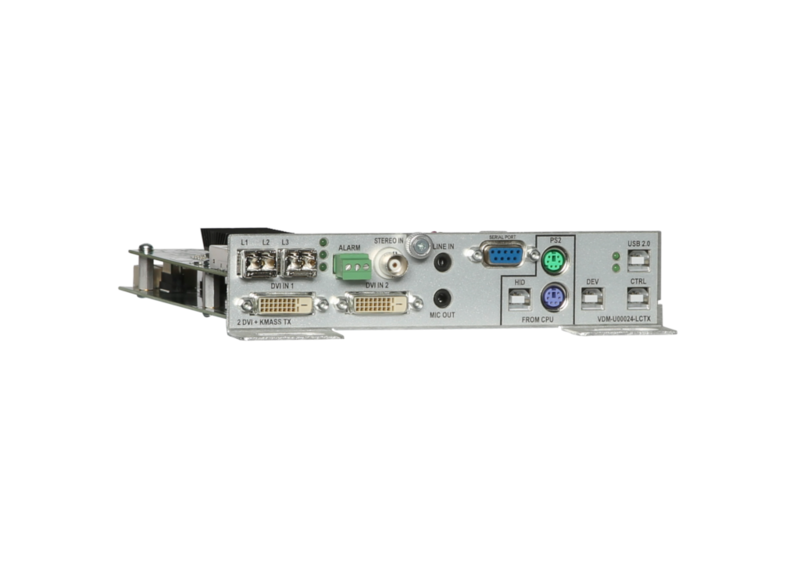 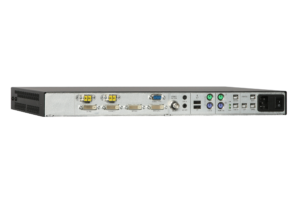 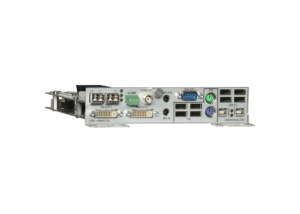 Systems are custom configurable to also support serial RS-422, USB 2.0 (480 Mbps), FireWire 800, 10/100 Network, Professional Audio, and LC, SC or ST connector types. information, see Modular Chassis Specifications.